WATERLOO, ON, Jan. 30, 2019 /PRNewswire/ - The Lazaridis Institute for the Management of Technology Enterprises at Wilfrid Laurier University, along with Hockeystick, Toronto data and software provider for the private market, will host a new conference February 20-22nd, 2019 in Waterloo, ON. DRIVE is Canada's global conference on scaleup ecosystems. 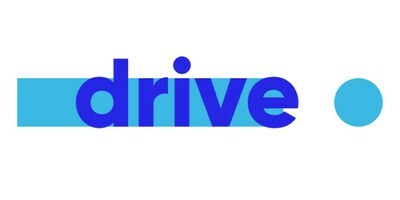 In its inaugural year, DRIVE focuses on the question of creating domestic value in a global tech economy. Over two days, DRIVE will bring together thought-leaders from around the globe — policy-makers, researchers, accelerators and successful tech CEOs — to compare best practices and highlight bold ideas. The conference will provide a platform for practices that are data-driven: the goal is to give ecosystem stakeholders the evidence they need to make strategic decisions. Keynote speakers include Richard Florida, thought-leader, author and senior editor at The Atlantic; Deena Shakir, Advisory Board Member at TechWadi; Daniel Isenberg, investor, author and professor at Babson College; Catherine Mahugu, entrepreneur and changemaker; and Joanna Rees, Managing Partner at West and Global Board of Directors for Endeavor. Iain Klugman, President and CEO at Communitech Corporation will host a fireside chat with Maria Gotsch, President and CEO of the Partnership Fund of New York City. Michelle Scarborough, Managing Director, Strategic Investments and Women in Technology Venture Fund, will open the conference Wednesday evening by introducing Deena Shakir. Audrey Tang, Digital Minister of Taiwan, will also present via videoconference. Featured speakers include Menno Van Dijk, CEO and Founder at Scaleup Nation, Netherlands; Irene Graham, CEO ScaleUp Institute, UK; Chris Yeh, author of Blitzscaling; Shaun Stewart, CEO New Lab, Brooklyn; Jason Myers, CEO at Next Generation Manufacturing Canada; Charles Plant, Senior Fellow at the Impact Centre, University of Toronto; and Anna-Maija Sunnanmark, Senior Innovation Advisor at Nordic Innovation. Additional speakers are being confirmed daily. "Our speakers are making a difference, in local tech ecosystems and national economies," says Kim Morouney, Managing Director at the Lazaridis Institute. "The conference is designed to maximize conversation between Canadian ecosystem leaders and their global counterparts. DRIVE will provide a clearinghouse for ideas, a venue for collaboration and opportunities for new partnerships." "Scaling" companies, especially tech companies, has become the focus of governments, investors and academics around the world. The benefits of having a critical mass of high-growth firms in a region are obvious — they have a disproportionate impact on job creation, economy and quality of life. Less obvious is how to build a scaleup ecosystem. This international gathering, in one of the world's fastest-growing tech ecosystems, will bring together professionals currently working to enable tech companies to grow, thrive and create value. They will address a wide-ranging set of topics from superclusters and immigration, to capital and quantum computing. "The questions revolve around a shift in emphasis from startup to scaleup ecosystems," says Raymond Luk, Founder and CEO of Hockeystick. "What does it take to scale? Capital? Talent? Who best provides support? Where is the centre of gravity — should the focus be local or national? What is the role of government? Which models are working — and how do we know? What data do we need, and where will we get it?" The conference kicks off on the afternoon of Wednesday February 20th with an ecosystem tour, followed by DRIVE-IN, the opening reception. Thursday brings a full day of panels, debates, keynotes, and workshops focusing on specific growth tactics, The day wraps up with a networking reception in Shopify's historic space in downtown Waterloo. The conference continues until lunch on Friday February 22. The full agenda is now live. For more information and ticket details visit www.driveconf.com Early-bird pricing ends on January 31st, 2019.